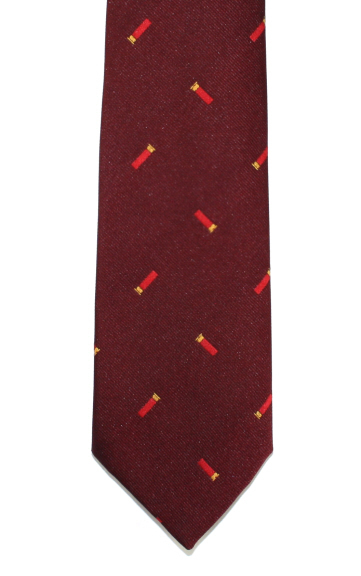 A shotgun cartridges tie with shooting motifs on a slim plain tie. Available in Red. A very smart two tone detailed shotgun tie clip. Great gift idea for anyone who takes part in one of our country sports. A top quality silk faille tie with blue and red shotgun cartridges stitched motif on navy necktie. A top quality silk faille tie with blue and green shotgun cartridges stitched motif on red necktie.